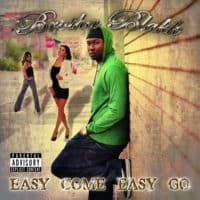 Easy Come Easy Go is another single from the upcoming album Street Certified by Signature Diversified Entertainment recording artist Brotha Blakk. In this smooth funk infused track Blakk describes the number one rule of pimpin, usually referred to as “cop and blow”. Not to worry, even the squarest listener will get the point and find themselves singing this hook religiously. The track was mastered by Gibby and recorded, produced and arranged by Mac Jr for Macalot Productions.